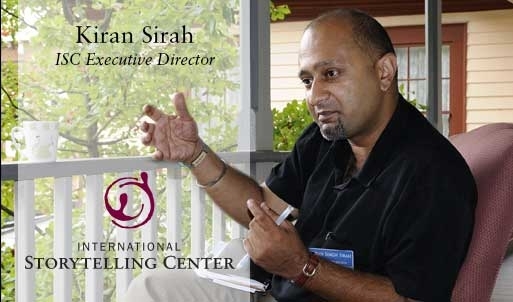 Kiran Singh Sirah is the director of the International Storytelling Center in Jonesborough, Tennessee. He says his family is a mini United Nations as it is a huge mix of religions and ethnicities. He believes in the power of story to unite and to make for peace. He speaks with me about the power of stories, his Sikh religious tradition, and the exciting work of the International Storytelling Center. Thursday, August 21st at 8 pm on WETS, 89.5. Saturday, August 23rd at 1 pm on KZUM, 89.3. Sunday, August 24th at noon on WEHC, 90.7. Sunday, August 24th at 2 pm on WETS, 89.5. Monday, August 25th at 1 pm on WEHC, 90.7. Wednesday, August 27th at 6:30 pm on WEHC, 90.7. Via podcast beginning August 28th.